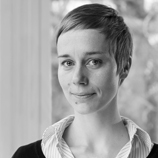 Katrin Wächter has been working in theatre since 2003: as a dramaturg at the Volksbühne am Rosa-Luxemburg-Platz, at the International Theatre Institute in Berlin, and as the artistic assistant of Rabih Mroué in the project X-Schools. After studying theater in Berlin and Dublin, she was the editor of the online platform Textures (2011–2014). On stage, we see a private room: a rug, a chair, a table with personal items … on the floor, a TV set and a stereo. Diyaa Yamout seems to have gone out briefly to fetch cigarettes or to meet friends. He should be coming back any minute … Or someone else should be coming … After all, someone has to come. But no one does.